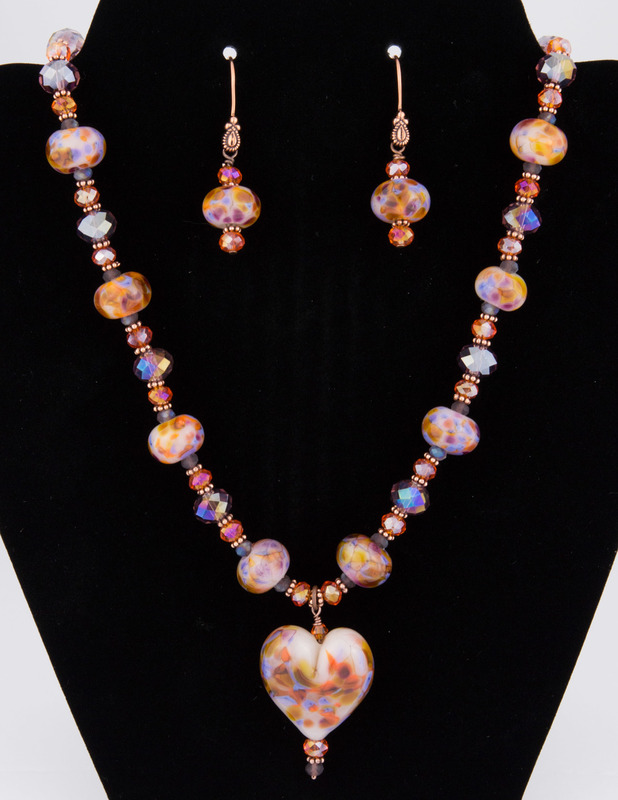 Lori Ann creates beautiful beads using the centuries-old craft of lampworking, the process of melting and shaping glass with a torch. Repurposing discarded bottle glass and metals whenever possible, each piece is crafted with a unique artistic touch. 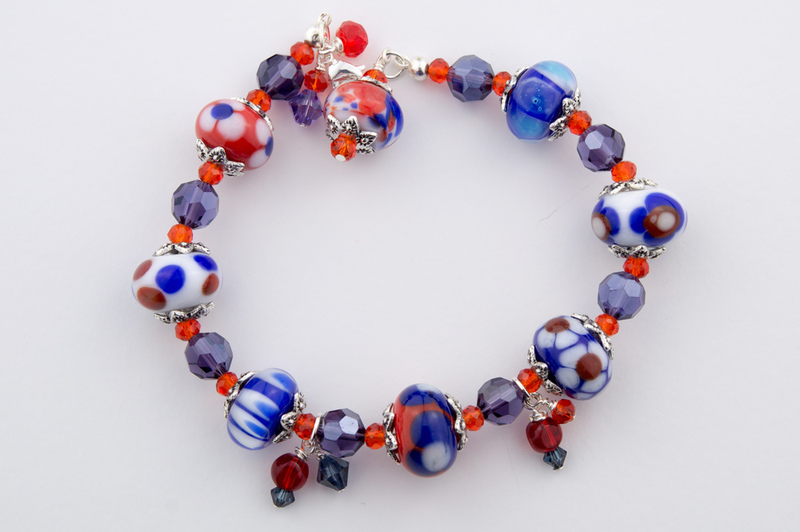 Beads are available for purchase individually, as a set, or fashioned into a one-of-a-kind necklace, earring pair, or bracelet. Items for purchase are available at our Blue Damsel Glass Etsy store. We handle custom designs as well. Contact Lori with what you have in mind, whether it's for a wedding, party, quinceañera, special event, or just because. Copyright Blue Damsel Glass. All Rights Reserved.